Iconic State Street Global Advisors campaign takes top honours with ad agencies again playing a prominent role in terms of leading award-winning campaigns. 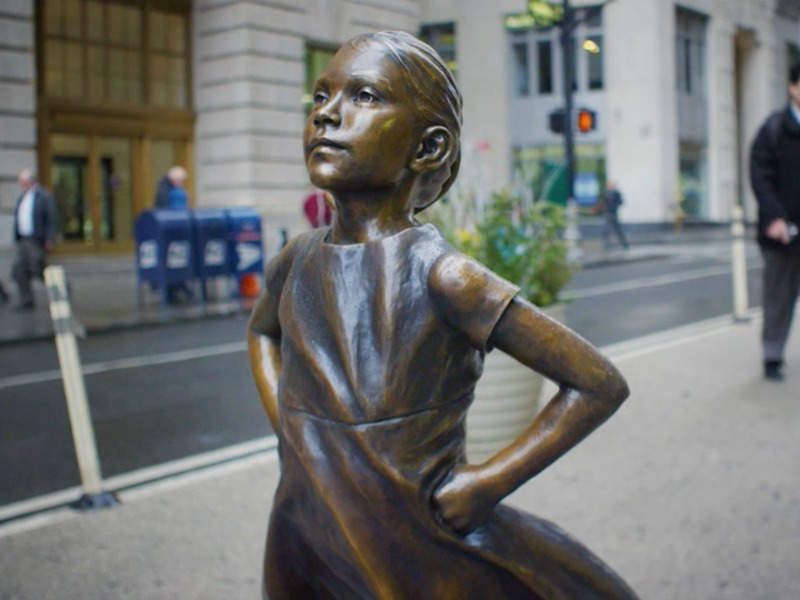 CANNES—The Public Relations Grand Prix at Cannes has been presented to Fearless Girl, the iconic statue of a girl facing off against the famous Wall Street Charging Bull, created by McCann New York and client State Street Global Advisors. The campaign was lauded by PR Lions jury president Karen van Bergen for addressing the lack of female leaders in business, "which leads to sub-optimal business performance", and for driving brand awareness and sales uplift for State Street Gender Diversity Index Fund, which invests in companies with higher levels of gender diversity in senior leadership. "It was incredibly courageous," noted van Bergen, "and created incredible impact for State Street." In particular van Bergen pointed out that the Grand Prix winner met the exacting criteria of the this year's jury, beginning with data-driven audience insight, deploying creative strategy and flawless execution, and returning measurable business results. However, the list of winning campaigns was again notable for being led by advertising agencies, a situation that has persisted since the Cannes Lions introduced the PR category in 2009. Not a single PR firm was credited as the 'idea creation' entrant for any of the 17 Gold Lions, all of which were led by advertising or integrated agencies. - Finn PR in Brussels (Coins of Hope for Child Focus). Van Bergen said that the Gold Lions winners were notable for being built around earned media, rather than starting with an advertising execution that garnered media coverage. Ketchum took home two Silver Lions as 'idea creation' agency — via Amazon Warriors Safe Collection by its Little George subsidiary in Brazil, and #NuggsforCarter by Ketchum Atlanta and VML for Wendy's. All told, the agency was involved in 10 PR Lions-winners, making it the best-performing PR agency on the night. Weber Shandwick also led a Silver Lion winner, the highly-awarded #BrutalCuts campaign for ActionAid UK. Beyond that PR firms were recognised under the PR designation on another seven Silver Lions winners, including work from Dentsu PR, New Zealand's Mango, and Exposure New York.